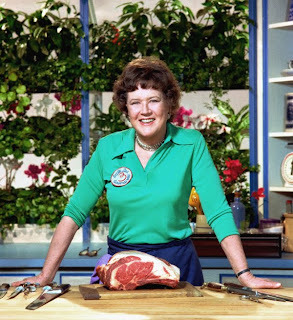 In a year where the incandescent Meryl Streep so buoyantly captured the essence of Julia Child on the big screen in Julie & Julia, I thought a tribute to the great lady herself, an inspiration to so many of us, would be fitting to close out the first year of my food blog. I actually had a heart-stopping moment in the spring of 2008 when I saw Ms. Streep out of the window of my old apartment, walking down the street in full 1950's Julia regalia on a break while filming the movie. Now, with all due respect to Julie Powell, author of The Julie/Julia Project and her admirable accomplishments, I believe the love of cooking is neither a race, as she sped toward her personal finish line, nor a competition, as reality television would have us see it today. 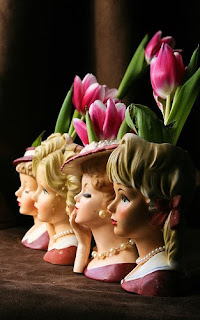 Some years after Julia's passing, Julia stands tall (very tall), and it seems her extraordinary legacy has never been more apparent than with a new generation of fawning fellow food bloggers or more precious with the advent of the contemporary celebrity chef. When I saw the biting headline that rumored Rachael Ray’s marriage was “E.V.O.Over,” I thought finally people were tired of her and her ridiculous kitchen speak, including the exclamations of “yumm-o!” that pepper her shows. I know I certainly was. She reminds me of Violet Beauregarde, that little brat in Willy Wonka & the Chocolate Factory who couldn’t stop chewing gum. Ultimately it’s Ray’s gimmicks that are remembered and not a single thing about the food. Isn’t it food that these shows should be all about? Perhaps not, in the age of the celebrity chef. Paula Deen is armed with her sticks of butter—and let's not tarry over Sandra Lee’s Semi-Homemade and her tablescapes! She’d have more time to make real food if she was less concerned about matching her outfit with the serving ware. 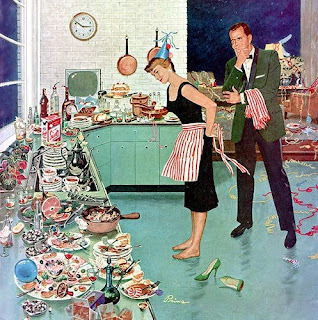 What about those of us that like to linger in the kitchen and cook? With the stars’ faces plastered on every baking pan, kitchen utensil, cookbook and endorsement, their food is merely a fashion. By the way, did you see that Dunkin’ Donuts commercial with Rachael Ray? Neither did she. The Arabic desert headdress she wore as a scarf was deemed terroristic in tone and the ad was pulled. Perhaps the celebrity chef is an inspiration to the future chefs of America. Perhaps becoming a celebrity chef is even now a goal. Certainly the culinary field is growing rapidly, if only evidenced by these minute-meal-making media moguls. But unless you’re seated at a good table in a terribly chic restaurant, the restaurant industry is hardly glamorous and these cooking shows offer one instance where “art” does not imitate life. Kicking a dish up a notch with a flurry of garlic and a “bam!” as Emeril does (his last name seems to have disappeared, like Cher) is hardly a realistic depiction of the real business. He knows better too, having numerous restaurants of his own. If, for example, you ever saw one of the first kitchen reality t.v. shows, The Restaurant, about Rocco DiSpirito’s short-lived restaurant Rocco’s, it’s clear just how hot the kitchens really get: it’s grueling, often repetitive work, with incredibly long hours both day and night. Weekend time is non-existent. First printed in part on cookingvillage.com. When it came to making a Boeuf Bourguinon for our guests, I wasn't sure whether to make the reliable version from Saveur (they refer to it as Boeuf a la Bourguinonne, beef stew in the style of Burgundy) that I had made several times or to try something new, such as Julia Child's more elaborate, perhaps more elegant version of Boeuf Bourguinon - Beef in Red Wine from The French Chef Cookbook (The Ninety-sixth Show). The latter eventually won out and after several requests for seconds I inevitably had to inquire, "Where's the boeuf?" So what else to serve beforehand and afterward? Flipping through the January 2010 issue of Bon Appetit provided an easy answer for cocktail hour snacks: I thought Parmesan Toasts with Prosciutto and Fig Jam would be a good idea to get the ball rolling. Click here for the recipe. I don't subscribe to Bon Appetit but after Gourmet magazine closed its kitchen doors, so to speak, they've started sending me issues of Bon Appetit as a consolation prize to finish out my yearly commitment. I can't really go into it but I was just beside myself when the last issue of Gourmet arrived (I kept it sealed in the subscription plastic and bought another copy on the stands and sent a stawker-ish message to Ruth Reichl on Twitter with my condolences and told her of my stack of vintage issues from the 70's). In short, the toasts worked just fine over glasses of a Caymus Vineyards Cabernet and a Cantina Zaccagnini Montepulciano d'Abruzzo, both red wines courtesy of our wonderful friends. We contemplated classic escargots but no, it was the Zwiebelwahe (Swiss Onion Tart) from this month's Saveur that provided this meal's panic moment. Instead of making my own pie crust, I formed puff pastry into a buttered enamel tart tartine pan. It browned nicely in the oven, but I realized I couldn't fill it with the egg, Gruyere cheese, onions and crispy bacon mixture and put it back in for the required 45 minutes baking time to let it all set because of course my crust would burn. After a breath and in a moment of clarity, I gently loosened the crust out of the pan, set it aside and poured the filling into the pan. The results were quiche-like, about an inch thin. When it cooled, I placed my crust on top of my tart, like an inverted crown. Et voila, Tart Tartine in a Cage! So, back to the boeuf! It was fairly simple, although very time consuming--it takes hours to simmer, but it is immensely satisfying work. I made the Bourguinon the night before and was glad of it (not only is the flavor enriched by sitting overnight, subsequently I had a much more relaxing day preparing the rest of the table!). 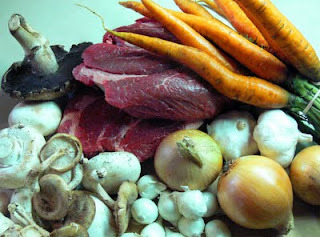 The stalwart stew consists of three basic parts: 1. simmering browned beef in red wine with sauteed lardons of unsalted pork belly (use this instead of bacon or salt pork to avoid the arduous step of having to boil those to remove the smokiness or salt) before 2. creating a garniture of mushrooms and onions and then 3. enveloping it all in a delicious sauce of the beef-cooking liquid, onion-cooking liquid and creamed butter--as always, use the best creamy European butter you can find (we used Pulgra "European-Style" butter). We brought out skinned, boiled potatoes that I just loved, lightly sauteed in butter and garnished with flat leaf parsley. To soak up the sauce, Baby made an incredible loaf of spongy, yeasty goodness from Jim Lahey's new book, My Bread. The French Chef Cookbook also assisted with a salad of Boston lettuce dressed with a Sauce Vinaigrette (The Seventeenth Show) comprised of white wine vinegar, dry mustard, some cooked onions left over from the tart, a sprinkling of herbs de Provence, and of course extra virgin olive oil. Our friends helped out with dessert by bringing some fantastic almond paste cookies topped with pignoli nuts and enormous cannolis from their favorite bakery in Long Island. More humbly, we also served my favorite Brussels cookies from Pepperidge Farm, wedged into scoops of Sharon's lemon sorbet. And so mes cheres, however you might call it, what a wonderful dinner of Boeuf Bourguinon or Boeuf a la Borguinonne on such a winter's night! Have a Happy New Year? And welcome all that the glorious fates allow? It must have been a number of years ago when we went to a New Year's Day party where our Southern hostess presented us with a bowl of delicious marinated black-eyed peas; she explained that eating them on the first day of the year had always been a tradition in her family and was thought to serve up a side of good luck as well. I've made some form of black-eyed peas on that auspicious holiday ever since. 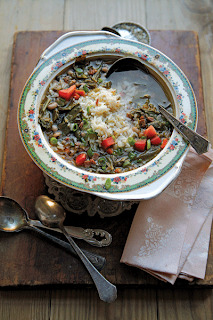 The December issue of Saveur included a recipe for Hoppin' John Soup that I can't wait to make in a couple of days. Along with the peas, among other things, there's ham and a smoked ham bone thrown in there, with garlic and collard greens. Now, doesn't that sound like a marvelous way to ring in the new year? 1. Bring peas, ham bone, and 8 cups water to a boil in a 6-qt. Dutch oven. Reduce heat to medium-low and cook, skimming foam occasionally, until peas are tender, about 45 minutes. Drain peas, reserving 1 cup cooking liquid along with ham bone; set aside. 2. Heat oil in a 12-qt. pot over medium-high heat. Add chopped ham, chiles, garlic, jalapeños, carrot, onion, celery, and bay leaf and cook, stirring occasionally, until soft, about 8 minutes. Add reserved black-eyed peas, ham bone, and reserved cooking liquid, along with collards and 12 cups water. Bring to a boil, reduce heat to medium-low, and simmer until collards are tender, about 1 hour. Stir in vinegar and season with salt and pepper. Spoon rice into bowls and ladle soup over rice and add garnishes. The Loughlins are a hilarious, wild bunch and each of them in their own way are made of the stuff that feeds my heart and soul, and they've created a lot of fun memories for me over the years as they so fortunately happen to be my cousins. I don't get to see them all that often though, usually just at Christmas time and Easter in New Hampshire. This year when my parents, Baby and I got together for Christmas with them and all of their magnificent children in tow, we played a hilarious game of Yankee Swap. We had all bought presents, and in the living room after dinner each of us drew a number and picked something to unwrap. If we didn't like what we got, we could trade with someone else. 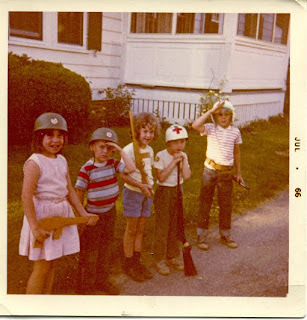 I'd always heard stories of how the Loughlin clan were terrorized by the food their mother used to serve when they were kids: peaches with mayonnaise, Spam, brutalized hot dogs and such. I don't know which wiseacre put it all in a box but there it was, as sure as Christmas, evocative ingredients from their childhood, opened by an unsuspecting member of the family: hot dogs, beans, a red onion, vanilla wafers, tomato soup, tuna, and Saltines. The components might sound harmless enough on their own, but combined they create some truly hair-raising dishes! As the recipes and a 10" Emeril frying pan were also part of the deal, Baby and I worked in tandem to make sure when it was our turn we traded whatever we had in order to secure this particular Christmas box. Mwah, you guys! For dessert either Vanilla Wafers or Canned Peaches may be served. For the latter, drop a large dollop of mayonnaise on top for garnish. 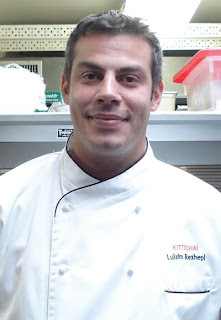 Lulzim Rexhepi, the executive chef at NYC’s Kittichai restaurant, was born in Kosova, Albania and moved to the Bronx when he was 10 years old. He first worked at Pino Luongo’s Le Madri on West 18th Street in Manhattan (where I had a most memorable lunch of lamb chops on my 30th birthday!) as prep cook under his mother’s training. His culinary resume has grown impressively, listing credits such as Roger Verge’s Le Moulin de Mougin, a three star restaurant on the French Riviera; Switzerland’s Mandarin Oriental; and back in Manhattan, the Blue Water Grill; Four Seasons; Icon at W Hotel; and Citarella. From his post at Kittichai, we offer up a goose with just a touch of exotic spice and a little bit of a twist to warm you up this holiday season. Thanks for sharing with me, Lulzim! and place over the red curry and goose stew. 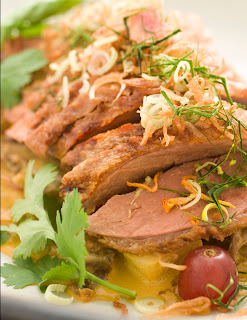 Garnish with fresh coriander, finely chopped lemongrass, and grapes. Recipe first featured in Next magazine. Jim Lahey knows dough. The founder of Manhattan's Sullivan Street Bakery is renowned for his fabulous breads; Baby and I have also had the opportunity to try his incredible pizza crusts at Co. restaurant in our neighborhood. 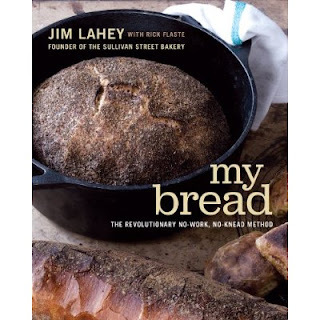 Now, the new book My Bread written with Rick Flaste lets us in on some of Lahey's secrets to try at home. None of the recipes involve kneading, but Baby and I just made The Basic No-Knead Bread Recipe and it couldn't have been easier. The few ingredients are combined and left to rise for 12 hours to 18 hours (the author's preference), before being formed and baked. We think it's a great idea to make the dough ahead of time and bring it to a friend's house for a dinner party and bake it there to fill the kitchen with a warming aroma of yeasty goodness--just make sure not to monopolize the oven if it's already being used! Combine first three ingredients in a bowl and mix for about 30 seconds with a wooden spoon. Add water and mix for another 30 seconds (add more water a little at a time if necessary to absorb the flour and create a batter). Cover with a plate and let sit for 18 hours. Lightly flour a surface. Remove the dough from the bowl and on the floured surface, gently pull the sides of the dough into the center, forming a ball. Sprinkle a tea towel with cornmeal and gently place ball seam side down in center. Fold corners of tea towel over dough to fully cover. Let rise for two hours. Preheat oven to 475 degrees 30 minutes before this second rise. Put oven rack on lower third of oven and in the center place a covered 4 1/2- to 5 1/2-quart heavy cast iron or enamel Dutch oven on it. Working quickly but carefully, remove the vessel that has been pre-heated for 30 minutes from the oven and removing the tea towel, dust with wheat bran, cornmeal, or flour, place dough in the pot, seam side up. Cover and bake for 30 minutes. Remove lid and bake until a "deep chestnut" color is achieved, for about another 15 minutes. Keep checking on it so as not to burn. Take out of pot and place on a cooling rack. Exercise patience and wait until bread has completely cooled before eating, about an hour. 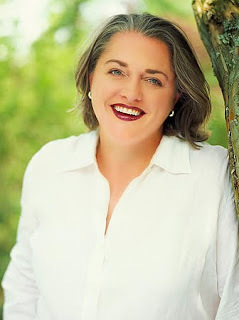 Last year, I discovered Virginia Willis' cookbook Bon Appétit, Y’all and was quite taken by the inventive set of dishes she assembled for a holiday menu based on The Twelve Days of Christmas, combining traditions of her Southern upbringing and methods she learned while training in France. The complete menu is listed below with several of the recipes, accompanied by Virginia's charming comments. I hope they provide inspiration for you in the kitchen this season. For more recipes, well...look to the book y'all! "On the first day of Christmas, Virginia cooked for me…"
Preheat the oven to 400 degrees. Brush a baking sheet with some of the melted butter. To roast the pears, arrange pear halves, cut sides down, on the buttered sheet. Brush the tops with remaining melted butter. Season with salt and pepper. Roast until just tender to the point of a knife, 20 to 25 minutes. To dress the greens, place the arugula in a large bowl. Drizzle with the vinegar and olive oil. Season with salt and pepper and toss to combine and coat. To serve, divide the greens among 4 to 6 individual serving plates. Top each with a warm roasted pear half, cut side up. Place a spoonful of goat cheese on each pear. Drizzle with honey. Season with salt and freshly ground black pepper. Serve immediately. "Cornish game hens (or Rock Cornish hens) are not as large as a chicken, yet larger than a quail. The French call them poussins, and they are essentially baby chickens. Mama has always cooked game hens for semi-special occasions since we all love them. They are great for a dinner party, too. Plan ahead, however; many grocery stores only sell them frozen." Preheat the oven to 450 degrees. Combine the herbs, shallots, orange zest, and butter in a small bowl. Season with salt and pepper and stir to combine. Loosen the skins of the hens without tearing by running your fingers between the skin and the flesh of the breast. Place a little of the herb butter under the skin of each bird and spread evenly. Season the hens with salt and pepper, then rub the skin with the remaining herb butter. Place the hens, skin side up, in a large roasting pan. Roast until the birds are golden brown and the juices run clear, about 30 minutes. Transfer the hens to a large warm platter and tent loosely with the aluminum foil to keep them warm. Place the roasting pan on the cooktop over medium heat. Add the sherry to deglaze the pan and loosen the brown bits on the bottom. Add the chicken stock and orange juice. Bring to a boil, scraping up the browned bits. Cook until reduced and slightly thickened, about 2 minutes. Taste and adjust for seasoning with salt and pepper. Spoon the sauce over the hens to serve. To spatchcock a Cornish game hen or other small bird, place the bird on a clean cutting board, breast side down. Using poultry shears, make a lengthwise cut on both sides of the backbone from neck to tail. Remove the backbone and save it for stock. Open the bird like a book. Proceed with recipe. For an especially flat bird, place the bird on a baking sheet, top it with a second baking sheet, and weigh it down in the refrigerator with a brick or several large cans of tomatoes for several hours or overnight. "No holiday would be complete without Roast Turkey and Gravy. Certain side dishes simply can't change — you can always add more, but the general opinion is that none can be taken away!" "One of my first memories is of falling into the pond behind our family home when I was about three years old. I remember the terror I felt in the brown murky water and the agitation of the adults who pulled me out. 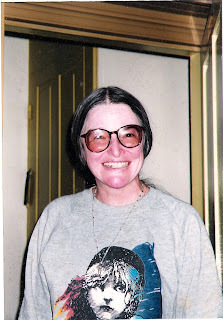 My grandmother’s main concern was not the possibility of me drowning, but that snakes might be at the water’s edge. The most common admonition heard from her throughout my young life was, ‘Don’t go in the bushes, you might get on a snake!’ "
"My mother tells of raising chickens and cows even when she was a child, but milking the cows stopped when one surly beast kicked my grandmother. They filled the freezer with beef instead!" In a large, heavy-bottomed saucepan, place the potatoes and cover with cold water. Season with salt and pepper and bring to a boil over high heat; add the cauliflower, garlic, and carrot. Decrease the heat to low. Simmer gently until the vegetables are fork tender, about 25 minutes. Meanwhile, heat the buttermilk and butter in a small saucepan over low heat. Cook until the butter is melted; cover and keep warm. Drain the vegetables in a colander, and return them to the saucepan over medium heat. Cook, stirring constantly, until a floury film forms on the bottom of the pan, 1 to 2 minutes. Remove from the heat. Mash the vegetables in the saucepan until smooth with a ricer, food mill, or potato masher. Add the warm buttermilk mixture and the parsley, stirring vigorously until well combined. Taste and adjust for seasoning with salt and pepper. Serve immediately. "Our fellowship starts days before as we share the shopping and chopping. The baking commences early in the week, and the cakes and pies are held captive in various collections of Tupperware. The buttery smells of the cakes coming out of their pans is intoxicating. Whoever is hosting the dinner calls everyone and assigns a dish, often something on the sweet side. Our family holidays would not be complete without Meme’s pound cake. The best part is the crispy, dark-brown sugary edges. 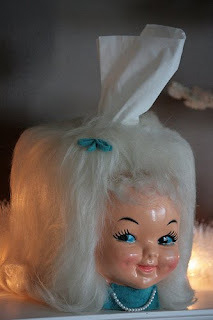 Much to my mother’s consternation, more than once, little pesky elves raided the opaque Tupperware cake container and nibbled away those tasty bits." Preheat the oven to 300 degrees. Generously grease a 16-cup (measure to the rim) Bundt pan with butter. In a bowl, sift together the flour, baking powder, and salt. Set aside. In a large liquid measuring cup, combine the milk, eggs, and the scraped vanilla seeds. Set aside. Bake for 15 minutes. Increase the oven temperature to 325oF and bake an additional 45 minutes, or until the cake is golden brown and pulls away from the sides of the pan. Remove to a rack and cool for 10 minutes. Invert the cake onto the rack and cool completely. "This recipe, a marriage of a recipe I learned while an apprentice to Nathalie Dupree and Meme’s version of traditional oyster dressing, is an excellent side dish for a Thanksgiving feast. The myth about buying oysters only in the months with an R is not quite true, but not completely false either. However, it is best to buy oysters during the fall and winter when they are at their prime." Place the oven rack 6 inches below the broiler and preheat the broiler. Brush a gratin dish with butter. In a large skillet, heat the oil over medium-high heat. Add the green onions, bell pepper, and mushrooms and season with salt and pepper. Sauté until the vegetables are soft, about 5 minutes. Add the oysters and stir to combine. Decrease the heat to low and cook until the oysters are firm, an additional 5 minutes. Remove from the heat and keep warm. "Meme may have made the rolls, but it was Dede who did a lot of the work. He beat the dough with a special wooden spoon that had a small ledge on the end for gripping. He’d cradle the big bowl in his arm and beat the wet dough so it slapped ‘wap, wap, wap’ against the bowl. All the ‘muscle’ developed the dough’s structure, causing the rolls to rise in the oven light as air, slightly sweet, and richly sour with the scent of yeast. We all thought it was Meme’s gently touch forming the rolls, but it was actually Dede’s strong arms that made them taste so good." 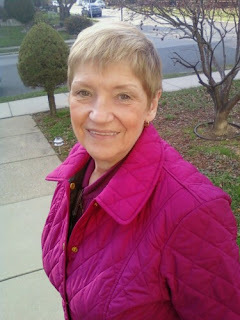 Visit www.virginiawillis.com for more information. Thanks to my friend of almost 30 years for sending this wonderful tribute to her mother, and of course, to our dear Dody for leaving us the blueprint for her most marvelous chili. “My mom’s chili probably earned its greatest fame outside of our family during the late 80s/early 90s as the favored sustenance for the punk rock bands my sisters would invite to stay over at our house before or after their gigs at City Gardens rock club in Trenton, NJ. Her response to the announcement that The Angry Samoans or Suicidal Tendencies were sleeping over was inevitably, ‘OK, I guess I’ll make chili,’ in a tone I imagine was equal parts bemusement and resignation. I think secretly she was proud when she heard after the show that the band had given her and her chili a shoutout from the stage (which happened quite a few times). The other notable fact about the chili was really that there was no known recipe for it – our mom had always just….made it, as I think her mother had made it before her. She was a great cook but I don’t remember her ever being very recipe-based. I’m sure at some point she told me how to make it, but for a long time, even though I followed her directions, it never seemed exactly right and I was convinced she had (probably unintentionally) left something out. So I kept refining and remaking on my own until I came up with the recipe here, which I think comes the closest. Now, this is a classic chili con carne – your ground beef, your red kidney beans – nothing fancy or vegetarian or requiring-a-trip-to-Whole Foods about it – if you want something more exotic, there are other places to find that. This is Friday night chili, a warm gently bubbling cast-iron pot on the back of the stove when you get home late from soccer practice or drama club or Mathletes - or with a bunch of Angry Samoans in tow. Cook the bacon in a large enameled-cast-iron Dutch oven, until fat is rendered out and bacon is slightly crispy. Pour off all but 3 tablespoons of fat. (Or use 3 tablespoons olive oil if not using bacon). Add the onion; cook until onion is wilted. Add the beef and cook until browned through. Add the garlic and black pepper and stir to blend. Add the chili powder, oregano, cumin, celery salt and paprika. Stir and add the vinegar. Add the tomatoes, tomato paste, water, salt/pepper, and chili paste with garlic if desired. Stir, and add the kidney beans. Stir all ingredients together well, and bring to a boil – then lower heat and cook over low heat for about 30 minutes. Serve in bowls with a dollop of sour cream on top and Saltines on the side. 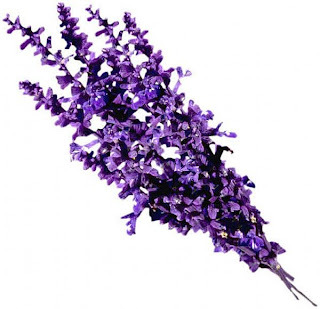 Bring trimmed, fresh flowers already in a well-appointed vase to the dinner party, instead of an awkward bouquet wrapped in paper or plastic that your host has to deal with in the middle of the evening's proceedings? So that your host may also cherish the vase as a keepsake once the flowers are gone? 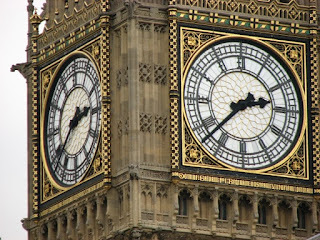 It's been rather difficult to figure how to write about my trip to London over Thanksgiving. 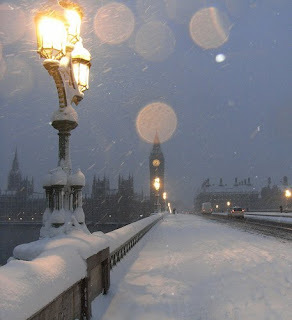 For years, London has been my heart: I left the country for the first time to go to college there, fell in love for the first time and saw a bit of the world. I feel I grew up there and returned to the states a different boy. I had never been so happy in my life. But I'm not 20 years old anymore. I've changed, London's changed; it's awfully commercial now. I'm not 32 either, when I last went back 10 years ago, just enthralled to be there again, to revisit some places and relive some memories. This year I did go back to look at my dorm at the Park Crescent Mews off of the Great Portland tube stop. It's a residential building now. I also returned to The Albany, a local watering hole across the street. I went to visit my school, Regent's College in Regent's Park, but couldn't get in past the gates. I needed a student pass, which I obviously didn't have any longer--so I stealthily snuck in through the back entrance, past several guards to get to the grounds. The staircase at the Royal Academy of Music which I used to climb several times a week when I took voice lessons isn't nearly as grand as I remember it. Despite the sometime feeling of bewilderment, Baby and I created some really exciting new memories too this year in London--so perhaps what I'm really writing about is two tales of one city. Apart from seeing a great production of Breakfast at Tiffany's and snagging two last-minute tickets to the extraordinarily fun and gorgeous musical version of Priscilla, Queen of the Desert, Baby and I naturally found some wonderful meals. Baby took me to J Sheeky, his favorite restaurant in London, where we supped on oysters, Dover sole and fish pie, and I took him to my favorite restaurant, London's oldest restaurant, Rules. We had even more incredible Frenchman's Creek Rock oysters from the Duchy of Cornwall, Roe deer terrine, onion soup with welsh rarebit toasts, bloody good lamb chops, and Steak Diane with herb butter and a sticky toffee pudding to top it all off. Since Baby had to work, I spent a truly fabulous Thanksgiving day single-o at Harvey Nichols, taking myself to lunch on the 5th floor. The prix fixe was a damned good deal (about $40, including half a bottle of wine) where I treasured a Fourme d'Abert (a gentle blue cheese) & pear tart, mushroom risotto and chocolate mousse with pistachio crisps and a drizzle of pear coulis. Later that evening, we all had cocktails with Amy Sacco at her newly opened Bungalow 8 in the chic St. Martin's Lane hotel, and then a proper feast alongside her as well at Bedford & Strand. Roast parsnip soup! Beef and onion pie! And of course, turkey with traditional trimmings. We also shared the treacle tart with clotted cream. When I try to sort my feelings about this unexpectedly conflicted journey, I suppose it is the boy I miss, the one I used to be, who was some years ago emerging as a young man. I guess I realized too when I was in London that there are certain things better left simply relegated to the past. I'm not 20 years old anymore but when I think about when I was, and am flooded with all those memories of the London that I so cherished, I finally might have realized I don't have to hold on to or try to recapture the past; instead know now that for having just lived it, yes, I will always be thankful. I find this crab dip to be the perfect crowd-pleasing dish to bring to any party, but it's particularly best to share around the holidays, or the Super Bowl! What's best is that it's easy to make too! You can definitely splurge on lump crab meat, but canned white crab is absolutely fine and much cheaper. Thanks to my sweet Rosemary for sharing. "My mother was a nurse at Fitzgerald Mercy hospital when she met my dad, a dashing young intern MD, who was immediately taken by 'the nurse who filled out the uniform like no other'. After they got married (43 years ago! ), she followed my father to Korea where she was not only an army wife on the DMZ, but taught English to Koreans (one of her students went on to graduate from Columbia University) and also became pregnant with my sister Melanie, who was born there. After a year, they came back to an army base in South Carolina where my other sister Heather was born (they're pretty much Irish, um, Polish twins, being 13 months apart). After dad was done with the service, they returned to their native Philadelphia to raise the family. Armed with the knowledge of cause and effect, I didn't come along for another four years. I'm told I was a pleasant surprise. All through grade school, my mom was a stay at home mother and domestic goddess, cooking all of our meals from scratch. She also could host a family get-together or cocktail party at the drop of a hat. Being the youngest and only boy (i.e. mommie's boy), I always was looking to help my mom out in the kitchen. One of my first jobs was picking the shells out of the crabmeat for my mom's staple crab dip recipe, a fequent delight at all suburban Philadelphia soirees. I guess I took this precious dip for granted, for when I brought it to a potluck playreading cocktail party in NYC, assuming I was just 'the guy who brought the crab dip', I was regaled with RAVE reviews from friends who did not grow up with this delicacy. Who knew? My attendance at certain social gatherings thereafter was contingent upon my arriving with this crab dip as my date!" Mix the cream cheese, sour cream, crab, horseradish and Worcestershire sauce together, the good ol' fashioned way, by hand, until combined. Put into a baking dish and bake in a preheated oven at 325 until the top begins to brown and it is bubbly. Let sit 10 mins to cool A LITTLE before serving to your guests. Sprinkle Parmesan and ground pepper on top if desired, or a little paprika for color. Serve on top of your favorite bread or cracker (although traditionally in my home it was always served with the mini rye or pumpernickel bread). "We last served this with roasted cauliflower, sautéed green beans and a sweet and sour red cabbage. Leftovers were turned into sandwiches with the chicken and cabbage meeting up with some willing goat cheese on toasted ciabatta. Our chicken was too cold in the sandwich, but that’s clearly avoidable." 3 chicken breasts, halved and contrived into even sizes if so desired. Mix all together, being sure to fully incorporate the sugar into the wet ingredients. Reserve 2 T of mixture in a covered container and chill. To remaining marinade, add trimmed chicken breasts, turning to coat. Marinate covered in the refrigerator at least 12 hours, up to two days, turning at least twice a day to distribute marinade. Heat Dutch oven over medium high heat and preheat oven to 350. Remove chicken from marinade and dredge in seasoned flour. Discard remaining chicken marinade. Add 2 T olive oil to Dutch oven, and when hot, add chicken pieces, allowing crust to set before turning, 3-4 mins per side. When browned, remove chicken from pan, and deglaze with ¾ white wine (or chicken stock), scraping up the deliciousness. Add reserved marinade and stir to blend. Add chicken pieces back in and place in oven, covered, until chicken is done—20 mins. Remove from oven and serve with pan sauce. If, when removed from oven, sauce seems a little thin, remove chicken and heat the sauce over med-high heat to reduce. Sneeze more privately in public, avoiding too much of a fuss?